Both Maik Stohn and Jürgen Weiß are experienced management board members, who have been involved since the early-on development of online banking and have worked for numerous large banks, are leading this enterprise. "You can solve today's problems with yesterday's methods and stay in the market tomorrow"
Following an apprenticeship as banker at Aalener Volksbank e.G., Jürgen Weiß graduated with a German diploma degree in economic computer science (Dipl.-Wirtschaftsinformatik) at the University of Mannheim. His career started in 1997 at a subsidiary of the German Bank AG, focused on the development of the first internet banking and the introduction of new online payment methods for ecommerce. Based on the successful implementation of numerous online banking, internet payment and PKI projects he became head of the ecommerce department. In 2001 Jürgen Weiß founded NOVOSEC AG, an IT-security specialist realizing consulting and software development projects for banks and corporations to secure ecommerce platforms. Besides his work as CEO of the company, he was also active as a consultant for various security related bank projects focused on card based payment transactions and in the areas of online and mobile banking. In addition to his activity for NOVOSEC AG, in 2009 he founded Seal One AG, an innovative FinTech company specialized in the development and implementation of hard- and software based security solutions based on strong digital signatures. 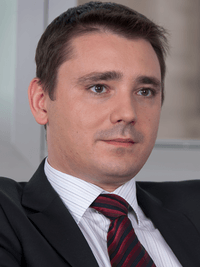 Besides this he is managing director of Westino GmbH. "To secure transaction, strong crypthograpy with digital signatures is a must have." As several times prizewinner of the federal award "Jugend-forscht" (Subject area Physics, as well as Mathematics/Computer Science) Maik Stohn completed his studies in Computer Science at the University of Ilmenau. At the time he worked in parallel as freelancer Software developer and, thus, can draw on long years of job experience. 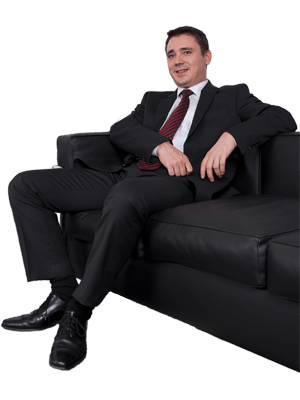 In 1996 he founded the company Digital Optics® and served in addition to being a partner as the managing CEO, before he entered the NOVOSEC Management Board in April 2001. Besides this he is managing director of Westino GmbH and chairman of "Jugend-forscht".